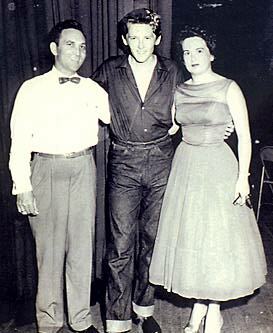 It was with great apprehensiveness and fear that I and my other three band members: Tommy Pittman, Clyde Coley, and Bobby Joe Swilley walked into Delta Recording Studios on Raymond Road in Jackson, MS in late 1964 or early 1965 to record our first record as a group under the name of "The Starfires". We had decided to record the old Bobby Darin hit "Dream Lover" and an original rock'n'roll guitar instrumental called "It Must Be The Wine", written by my cousin Tommy Pittman. I was the youngest member of the group at 18 years old. This became my first association with a truly fine gentleman by the name of Jimmie D. Ammons: proprietor, owner, operator, engineer and entrepreneur of the too little acclaimed but highly revered, "Delta Records". Little did I know that at such a tender age that I was being blessed with coming in contact with one of the true pioneers of rock'n'roll, rockabilly, blues and gospel in musicdom. Now, some 35 years later it was my humble and exciting privilege to meet with Jimmie once again and let him tell the story of the first recording studio in Mississippi: Delta Recording Studio. To say that Jimmie is a gentle and modest soul would be such an understatement. To say that Jimmie was instrumental in the start of so many musical careers and to have been such an influence on music in this state is another understatement. Jimmie, at a very young 80 years old, cannot even put a firm date on exactly when he opened his studio. He cannot remember if he started in the very late 40's or very early 50's. However, he has definite memories of being in business in 1952. He and I both feel that there was definitely not another recording studio in Mississippi at that time and seriously wonder if anything existed in Louisiana; NOLA specifically, or Memphis. We do know that Sam Phillips started the Memphis Recording Service at 706 Union Avenue in Memphis, TN in January, 1950 which would later evolve into the infamous Sun Record label. This is a documented fact as evidenced in the book "Good Rockin' Tonight". Let me begin by saying that this is in no way meant to be a chronological history of Jimmie Ammons or Delta Records. I am writing this from notes which Jimmie himself compiled and am trying to be as factual and accurate as he recalls and as I remember. Any information, any dates, any names or any other mistakes are just that, honest mistakes. No offense is meant and hopefully no offense will be taken. No question that there will be some errors due to the sheer time element involved. We're trying to get this wonderful gentleman to recall things, names, places and dates that took place many years ago. This writer begs forgiveness for any inaccuracies, which may occur. So, now, with that said, let's get on with the story of Jimmie Ammons and Delta Records. 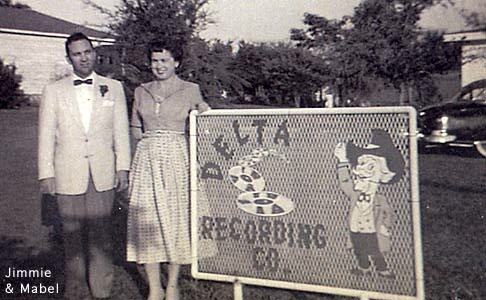 Delta Records was noted for it's custom recording work. They recorded wedding, church and college choirs. Also they recorded foreign language departments for Ole Miss in Oxford, MS and many commercials for numerous radio stations. They also recorded ratio stations all over Mississippi for ASCAP. When Mississippi was searching for a state song, Delta Recording Studio recorded all the state university bands in search of the song that would truly be representative of our great state. "Go Mississippi", written by Houston Davis was chosen as the official State Song of Mississippi in 1962. Delta had several record labels, which they released material on. Some of them were Delta, Ala-Miss, Sunset, Magnolia, New World and Cotton labels. Jimmie is such a plethora of information that it is very hard to absorb all that he can tell you. Some of the things that went on, obviously, escape his memory. I know that he related to me that he mainly remembers the numerous R&R acts that came to his door and seemed to keep track of them more so than the country acts. However, one of the greatest stories that he related to me was the story of Warner Mack and his recording of "Is It Wrong". Being a native of Vicksburg, MS myself, how could it be anything but interesting to me when Jimmie told me this story? It seems that Warner and his band, (the names of the members seem to escape his memory) came to Delta Studios for more than a month on Sunday afternoons for Jimmie to work with them. As Jimmie related to me, "I really just didn't like the sound I was getting on Warner's voice and couldn't seem to come up with anything that seemed to work. It was a little, shall we say, "high-pitched" for my liking. At that time my dad had a watering tub for cows out back and I had the idea of putting the microphone down in this tub and have Warner just sing into it. I was desperate to get a respectable sound for what I felt like was a very promising country act. Well, that's exactly what I did. I brought it in, put the mike down in it and said, Warner just sing into the mike. Bingo, we got the type echo sound I was looking for and it seemed to mellow Warner's voice somewhat. Off to Decca Records it went. They picked up on it, signed Warner and recorded "Is It Wrong" on him and he had himself a hit. So "Is It Wrong" and "Squeeze Me, Baby" did very well for Warner. I managed to get $16.00 for my part of the many hours I spent with him." Another anecdote which I found absolutely fantastic was the story which Jimmie related to me about getting sued by a client named Bud Scarborough. Bud had a menagerie, which he called The Southern Drifters in 1956. As well as Jimmie remembers the members of this band were Bud on violin, Bill Barron on steel guitar, Curt Barron on rhythm guitar and two friends of mine, Clyde Pitts on lead guitar and Leman Gandy on bass. Well, Jimmie gets a subpoena, I suppose, to appear in Judge James Barlow's Court on such and such a date. Mr. Scarborough was suing him. Being a friend and close acquaintance of Judge Barlow, Jimmie just simply picked up the phone and called the Judge's office. "What am I being sued for, Judge?" "Oh, Jimmie, just come on down here at the time indicated. We're going to have court. OK, Judge, if that's what I've got to do." So off to court Jimmie goes. Turns out that Bud is suing Jimmie because the record they'd just recorded was not selling. That's right, the record was not selling. Jimmie said it went something like this. "Well, Mr. Scarborough, were you satisfied with the sound that you got on the record and your business dealings with Mr. Ammons?" "Oh, yes sir Judge. We were completely satisfied with the record and Jimmie. It's just not selling." So Jimmie says, "Now Bud, wait a minute. I never guaranteed you the record would sell. I did my part and have no control over whether your record sells or not." Do I hear a move to dismiss??? Case closed. Just one of the many, many jewels that need to be told about this amazing musical giant. Another story of quite a bit of interest to most anybody is the story of Joan Hager who in 1957 resided in Jackson, MS. Jimmie recorded several things on Joan, namely "Little Bit", which Jimmie says Eddie Arnold recorded and "Happy Is A Girl Named Me". Also "Your God Is Near" and "The Lord Gave Me A Bible". Sixteen of the songs she penned were recorded by other artists. Joan, if memory serves me correctly as to what Jimmie said, appeared on several national talent shows and was well on her way to becoming a big hit in her own right. Andy Anderson and the Rolling Stones were one of the first rock groups which Jimmie recorded. They formed the band while attending Mississippi State College. The members were Andy Anderson of Clarksdale on vocals and rhythm guitar, Joe Tubb of Jackson on lead guitar, Cuz Covington of Meridian on bass, Roy Estes on piano, Bobby Lyon of Senatobia on drums and Martin Bittick of Jackson on piano. 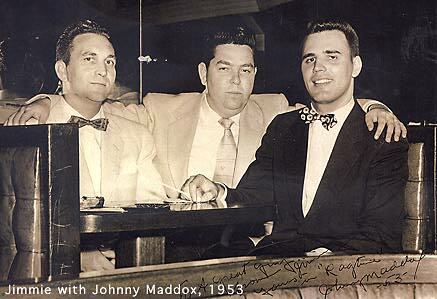 In October of 1957 Delta Records arranged a session at Owen Bradley's studio in Nashville with the world-renowned Jordanaires as back up vocalists. Andy recorded "Johnny Valentine" b/w "I'll Love You." After the release of this record which to this day still sells quite well, the booking price for the band went from around $35 per engagement for the entire band to between $400 and $500 per engagement. To put it bluntly, folks, "that was big bucks back in those days." The band played at numerous universities throughout the south. Namely, the University of Alabama, Ole Miss, Mississippi State, LSU, Memphis State and the still widely acclaimed Neshoba County Fair which continues to be held every year. For the past several years Andy has held a reunion for his fans and all the old musicians of that era and as normally the case with Andy, they have been outstanding successes. What a super entertainer and true rockabilly star. Another person who owes Mr. Ammons & Co. so much. 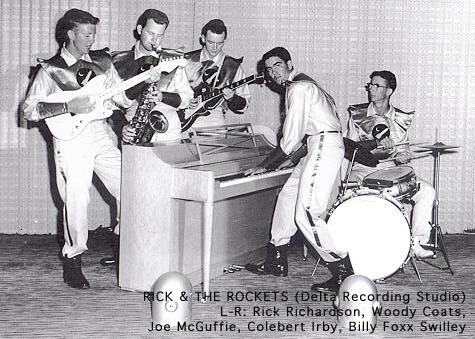 Another very fine act, which Jimmie took under his wing, was a group who called themselves "Rick and The Rockets". Along about 1958, as Jimmie remembers, the members of this group were Rick Richardson on vocals and guitar, Joe McGuffie on lead guitar, Colbert Irby on piano, Billy Foxx Swilley on drums and Woody Coates on saxophone. Someone, I really didn't discuss whom with Jimmie, came up with the idea of dressing the band in space suits complete with a bubble helmet and the works. Folks, this band was a hit and a big one. They performed at many colleges, country clubs and made a return appearance at the Neshoba County Fair. In fact everywhere they played; Vicksburg, Jackson, Philadelphia, they were always welcomed back. More talented musicians couldn't be found anywhere than this group. 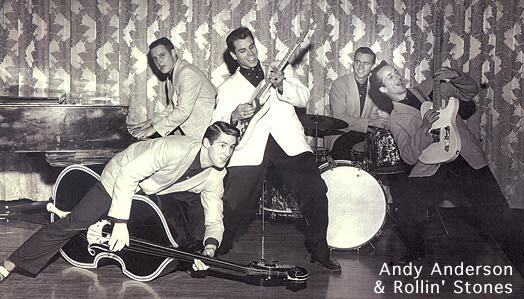 Next comes another band of around the same time, 1958, in a group called the "Red Counts". This group consisted of Martin Bittick on piano, Alton Lott on lead guitar, Richard Kersh on drums and Key Traylor on saxophone. A non-musician or a person who really didn't live through all this would rightfully question how the same musician could be playing with more than one group at the same time. We, as musicians, know that this is not such an unusual phenomenon. Bands come and bands went and the musicians that appeared in one might very well be appearing in another six months or six weeks later. I, myself, would find it completely impossible to recount the number of bands and the exact names, places and dates that I played with each. It happened then and it still happens to this day. Forgive me from launching off on a tangent, but I feel it is important for the person who truly loves music to have an understanding of how things really went during those times. The Red Counts were all local high school seniors. They were very popular with teenagers in the Jackson area and appeared at numerous locations such as the Colonial Country Club, Kennington's Fashion Theatre and many other teenage dances. I found it most interesting to have Jimmie tell me about a group he recorded called "Cool Cat Cannon and the Crackerjacks". The members included Wendell Cannon on vocals and rhythm guitar, Slim Free on lead guitar, Sammie Lee Martinez on piano and a drummer, which escaped his mind. Some of the sides which Jimmie did on this group included "Here I come", "Hey There Baby", "Mad Love", "You Just Won't Say I Do" and "I Fell". It seems that the group was booked to play the breaks for the Scotty Moore band at the Keesler AFB NCO club. Now anybody who is anybody knows guitarist Scotty Moore. I imagine Scotty was one of the most recorded guitarists in history at the beginning of what we call rock'n'roll or rockabilly. His work with Elvis Presley and others at 706 Union Avenue in Memphis is legendary. So back to the gig at hand. Now back when most of us started playing music we played 45-minute sets with a 15-minute break each hour. This of course was somewhat flexible and depended on how large the crowd was and how drunk all of us were. Just trying to tell the truth, folks. So Scotty Moore's band takes a break. Enter Cool Cat Cannon and the Crackerjacks. One, two, three, four. ShowTime. The crowd goes insane. Now keep in mind that Cannon is only supposed to play for the 15-minute break. So when Scotty comes back on, the crowd boos and boos and wants Cannon back. Being the gentle soul that Jimmie Ammons is he takes to the stage and tries to soothe the angry crowd. "OK, folks, I've talked with Scotty and I've talked with Wendell and this is really Scotty's job. However, Scotty has agreed to let Wendell come on for a full set and then he and his band will finish out the night." The peace is made, the crowd goes from a wild roar to a tumultuous applause and everyone seems satisfied. Mr. Ammons saves the night once again. Now on to some of the later acts which Jimmie helped and was a mentor to, among other things. There was a group that called themselves "Tina and the Tides". This aggregation consisted of Tina Renaldo on vocals, Bobby Joe Swilley on vocals and drums, Colbert Irby on vocals and piano, and my cousin Tommy Pittman on guitar. They played at many proms, Moose Lodges and made quite a number of recordings at Delta Records. Now the piano artistry and vocal ability of one Mr. Colbert Irby is completely unquestioned. Here is a gentleman that truly could have been a tremendous hit had he pursued music as a career. But I well remember talking to my cousin about Tina. Believe me, this was not told to me by Jimmie. It is something, which I remember him telling me. I said, "Tommy, can she sing?" He said, "Well I guess she sings pretty well, but her outstanding feature is her big ----. Ladies and gentlemen, you please fill in the blanks. Tina later went on to marry a very successful realtor in the Jackson area. Jimmie closed up shop in 1977 as far as recording goes and now lives a peaceful but busy life with his gracious wife Helen in their beautiful home in south Jackson. After over 25 successful years in the music business and 45 years with Armstrong Industries in Jackson he is enjoying a well-deserved retirement. With five children; one daughter whom he sadly lost recently, and eleven grandchildren, he keeps active and enjoys life. "Living Legend" has become, in recent years, such an over used and trite description. But would you allow me to place another moniker on this true Southern Gentleman? "Unsung, Living Legend", I think more adequately befits this musical genius. Does he deserve to be honored by being inducted into the Mississippi Music Hall of Fame? Without doubt. Does he deserve to be honored on the Rockabilly Hall of Fame web page by Bob Timmers? Absolutely. And do you know what folks - this stands out so vividly in my mind as one of the last things which Jimmie told me as I was leaving his home after our more than three hour visit. He said, "You know I really never did it for the money. Most of the time I never collected any booking fee for the jobs I booked or any managerial fee. I just did it because I loved the people, loved the music and loved doing it." Would that we could all say the same thing about ourselves. In closing, may I make this statement and observation? It was such a pleasure to have the opportunity to visit with Jimmie at his home after so many years. God has been very good and gracious to Jimmie D. Ammons and he has not taken it for granted. For he has given back to his fellow man in countless ways with untiring devotion to all of us that had the opportunity of knowing him. The little guy, the ones of us that made it big and the ones of us that didn't. What a great guy, what a friend to all musicians.